Established in 1986, Coquitlam Ridge Constructors Ltd. began construction operations on its inaugural project that same year with the replacement of the Athalmer Bridge in Invermere, B.C. Since that time, Coquitlam Ridge has successfully completed over two hundred bridge and bridge-related projects throughout southern British Columbia and Vancouver Island. We have successfully completed projects for all levels of government, government agencies, private owners, and land developers. We work closely with our clients to not only ensure their projects are completed on-time and on-budget, but also to ensure that their goals for environmental sustainability and quality assurance are realized. Over the years, we have established a valuable network of clients and contractors for whom we frequently provide construction services. We have experience as a General Contractor, Subcontractor, and as a core team member for Design-Build projects. Since 2007, Coquitlam Ridge has been a member of the BA Blacktop Ltd. group of companies (a subsidiary of Eurovia). This business relationship provides Coquitlam Ridge with valuable project opportunities, particularly in the field of Design-Build. 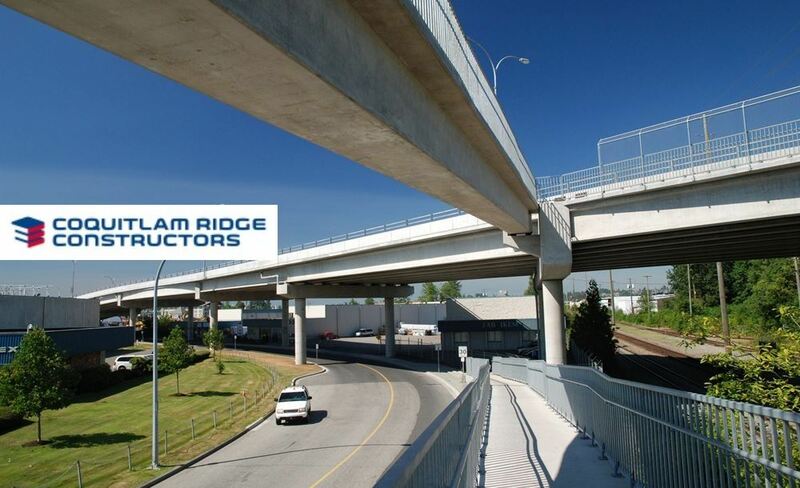 With the Lower Mainland and southern British Columbia’s efforts toward transportation infrastructure expansion and rehabilitation, we continue to refine our processes and increase our capabilities, to ensure Coquitlam Ridge Constructors Ltd. remains viable and competitive for years to come.